I’m wondering if asking the above question more diligently, people would be spared moral headaches and loss of self. We read stories of people who made questionable decisions in their lives. This is true of all of us and not only public officials. The flip side is to ask: why do we read about people who are addicted to insatiable cravings for self-importance and self-aggrandizements? These folks give Junior High schoolers a bad name. Do we read these stories about dumb decisions because we are reminded of our own poorly thought out decisions? Can we learn from them? Too bad, the executive team at Volkswagen did not ask the question, “Are you sure you want to do this? They were caught in the act compromising safety standards. 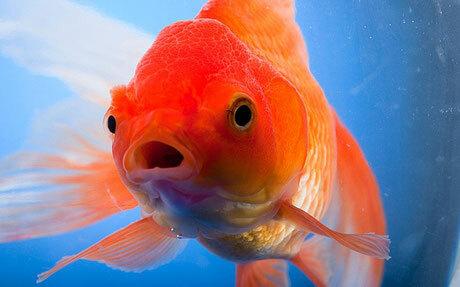 Then there is the story about someone who dumped pet goldfish into Wood Lake in a local suburb. The big goldfish are threatening to destroy the cattail marsh habitat. A grant was awarded from the County to buy 150 largemouth bass to eat the goldfish. “Are you sure you want to do this?” This can be a helpful question to ask. The question cuts to the heart of our motives. Why am I doing this? What do I hope to accomplish? This is a forgotten question today in the rush toward the allurement of personal advantage and fleeting self- preservation. An inward look is always harder to ask because one’s soul is at stake. I’m not over exaggerating. Let’s not forget that the decisions we make are informed by a personal faith in God’s love, or an informed conscience to live by. Yes, I’m thinking about whatever you and I promised to change in our lives – eating habits, faith habits and helping our neighbor – how did we hold up? Were we true to ourselves? I can recall embarrassing decisions I made in haste to get the job done. I didn’t want to deal with it. Or I wanted to get rid of it. I even wanted to impress people and the whole thing backfired. Who is the person I am meant to be? I’m not talking about being a goody two shoes nor am I thinking how I can be morally better than others? We are attracted to hearing about “the moral swamps” in Washington DC but these same places exist in our lives where sometimes hard decisions need to be made. I believe God’s love asks us “why did I do what I did? One does not win door prizes. There are no commendations, no award ceremonies. What gives one the deepest satisfaction is to say: “Yes, I was true to myself. I honored the best in me.” What more can one ask? No one can take that away from me.